The revolutionary 570S Step2 Push Sports Car was designed with family in mind, providing practical support for modern living by allowing parents to carry out their daily tasks or simply enjoy a leisurely stroll in the park without needing a conventional stroller. With a handy storage area under the seat that is perfect for stowing snacks and multiple cup holders to house that vital morning coffee and bottles of water, this stylish car lets toddlers rest their weary legs when the excitement of running around has worn off. 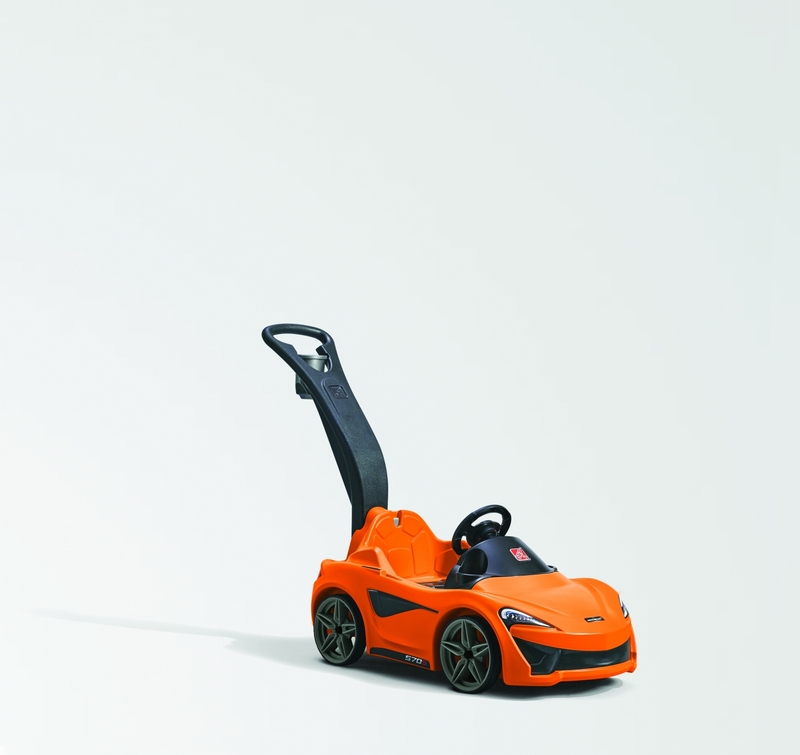 With its enthusiastic spirit to develop and create ground-breaking toys, Step2 shares many values with McLaren Automotive: just as McLaren is recognised as pioneering carbon fibre technology – used in all its cars since 1981 – Ohio-based Step2 is recognised as pioneering the ‘push car’ and its expertise and knowledge of the needs of children and parents alike was vital to the project. The new McLaren 570S Push Sports Car, which is officially licensed by Step2, launches initially in Ventura Orange. It will be available exclusively through Amazon.com US in September before rolling out later this year through leading global retailers and Step2.com. The RRP is $79.99.